I did not realise just how long ago Bob Marley passed away, until preparing this piece. Probably because some of his music is still often heard playing, either on the radio or TV, and the fact that time does indeed seem to fly by ever faster, whatever the case, sadly aged just 36, he passed on in 1981. Bob Marley played his final concert at the Stanley Theater in Pittsburgh, Pennsylvania USA, on September 23rd, 1980. The live version of 'Redemption Song' on 'Songs of Freedom' was recorded at this show. Afterwards he sought medical help from Munich specialist Josef Issels however sadly his illness was beyond cure at this stage. 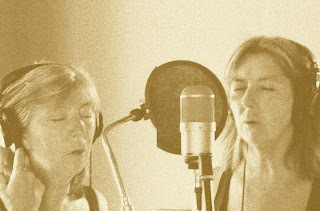 Kate and Anna McGarrigle were singers, musicians and songwriters with a well earned international reputation. They have performed to critical and popular acclaim throughout North America, Europe and the Far East. Their albums have earned 'record of the year status and awards' from the likes of Melody Maker, Stereo Review, the New York Times along with many others. And songs they have composed have been widely recorded by other artists, including Maria Muldaur, Linda Ronstadt, Judy Collins, Emmylou Harris, Billy Bragg, and Nana Mouskouri. Ever since I first heard them some thirty two years ago, I have been an unashamed fan, and I guess I can blame them in part, for my love of music sung in French. This is a concert recorded live at Red Creek Cabaret, Rochester, NY, USA, in June 1984. Both Linda Ronstadt, and Maria Muldaur guested on some of the songs. This is Eric Clapton during the first leg of his 1985 Behind the Sun - North American Tour. During the mid 1980's, Eric Clapton recorded two albums produced by Phil Collins, and spent much of that period touring. Having overcome his addictions, his performances were fresh and energised, as this concert demonstrates. The concert was recorded at the Civic Center, Hartford, Connecticut (United States) on the 1st May 1985. This is a good quality stereo recording - not sure of the source, some editing suggests FM radio. Reloaded - 09/June/2015 - Link in comments.